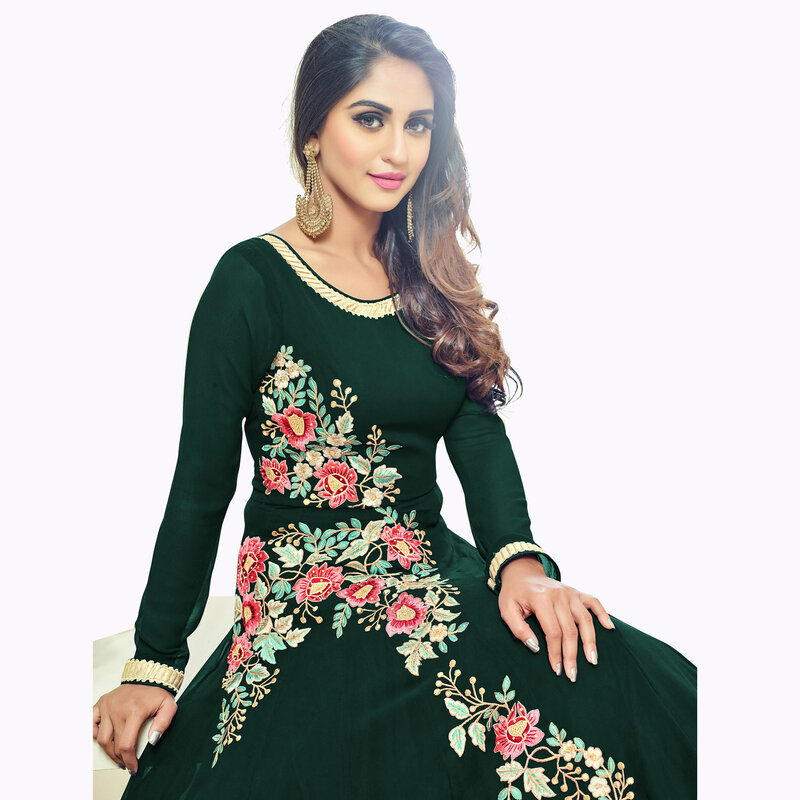 We unfurl our the intricacy and exclusivity of our creations highlighted in such an excellent green colored partywear anarkali suit showcased by Krystle D'Souza. 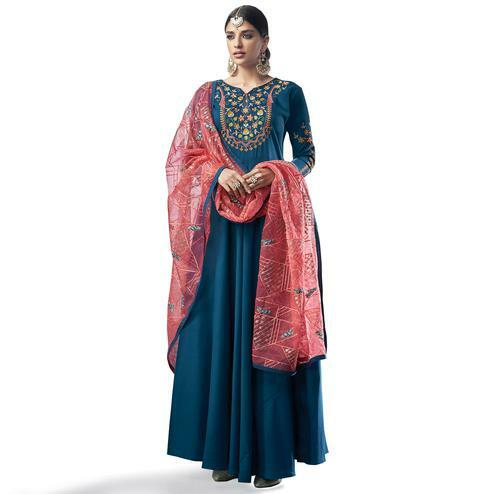 This faux georgette fabric suit is stylized by eye-catchy embroidery and hand work as shown. Comes with dull santoon bottom, lining and chiffon dupatta. This semi-stitched suit synchronized well with the latest trend and style. Specially designed to wear for parties, social get together and family occasions, wedding where you want to be center of attraction. Team this suit with classy accessories and high heel for a complete look. Get this suit now before it's gone out of stock. 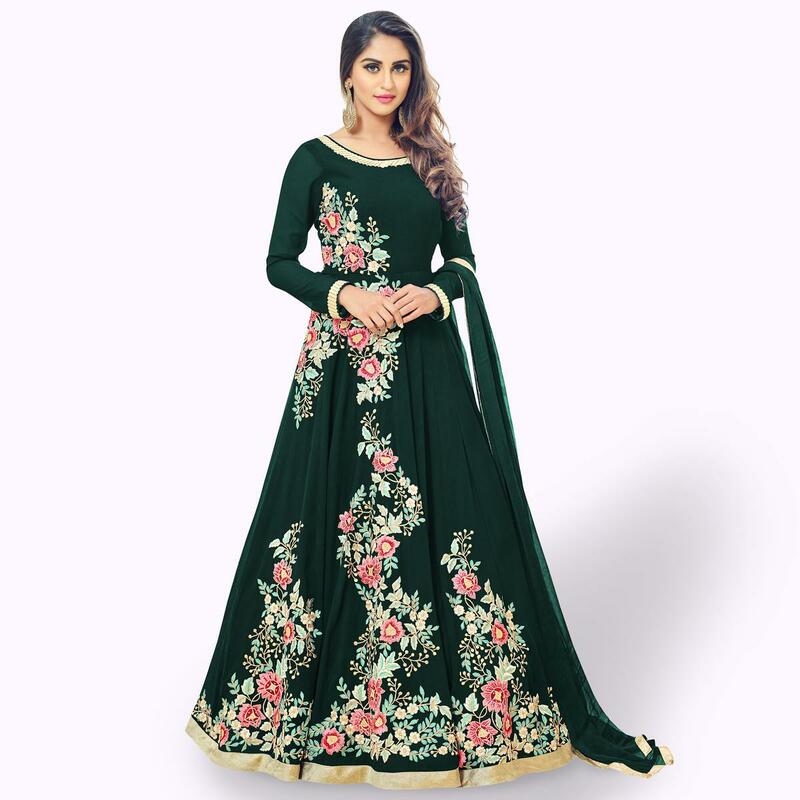 This party wear anarkali suit won't fail to impress everyone around you. Note:- The actual product may differ slightly in color and design from the one illustrated in the images.